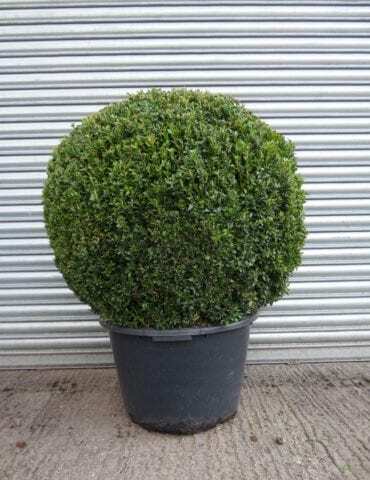 Box hedging (Buxus sempervirens) has been used for a very long time to make small hedges and is ideal for formal borders as it will grow on most soils. A neatly cut box hedge looks very smart and usually needs clipping only once a year. 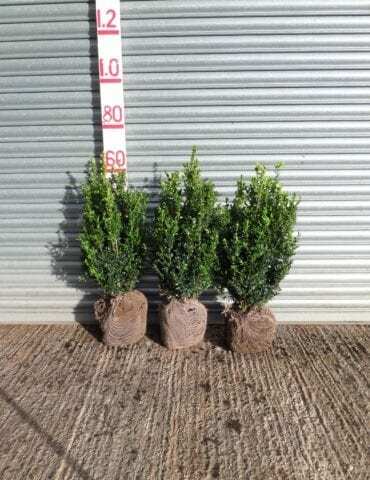 Box hedging will grow equally well in dry acid soils and alkaline soils but it does not like waterlogged soils. 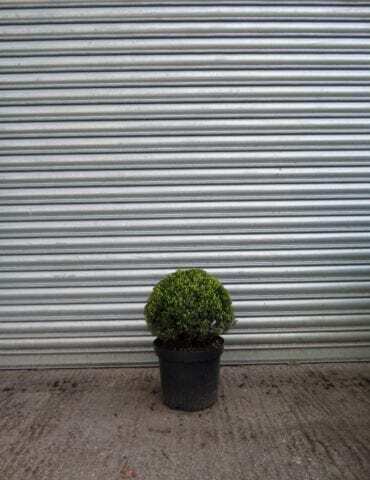 We sell Buxus sempervirens in the winter as bare-root or root-balled (for the increasingly popular bigger sizes) and container grown Buxus sempervirens plants all year round. 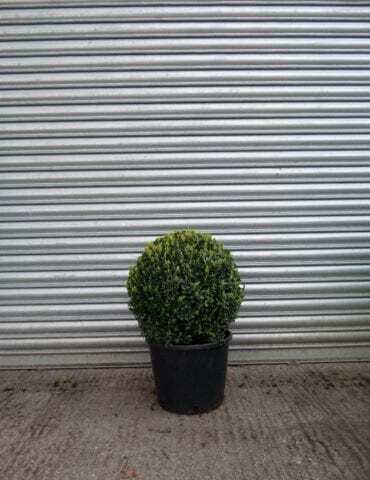 Scroll down for more information on box hedges and the products that we have available. 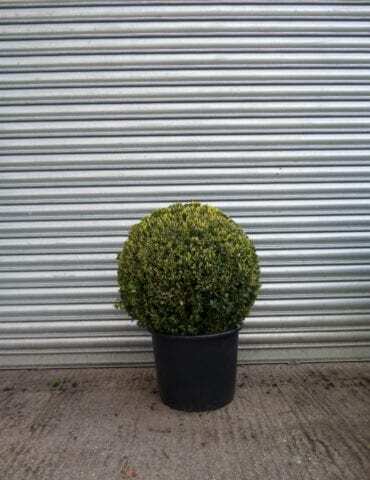 Box (Buxus sempervirens) is also referred to as Common Box and is a very useful plant for creating a small hedge. 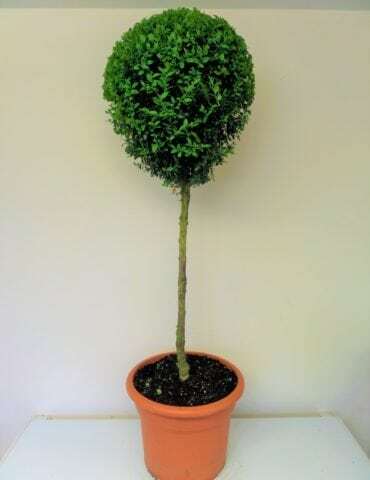 It clips well and tight and is a highly popular plant for making topiary. Why should I plant a Box hedge? 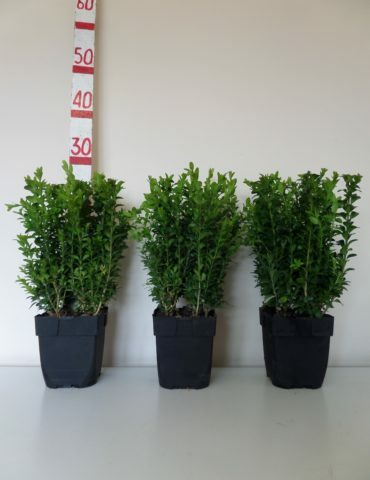 Box hedging is an extremely good and highly popular small hedging plant. It is evergreen and produces a mass of small green leaves and grows well in many situations. It produces a thick hedge suitable for garden borders and for demarcating separate parts of gardens. Box will often be found in many formal gardens as it clips well and retains its shape. How tall will Box grow? 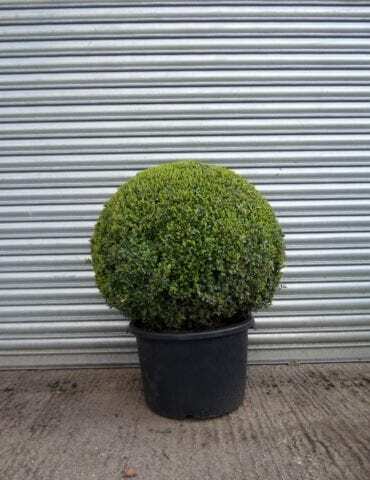 Box can be grown as small trees suitable for topiary if left untrimmed but is most commonly grown as a neat tight hedge of around 1-2ft (30-60cm) in height. How quickly will a Box hedge grow? Box is slow growing, which is one of the many reasons it is favoured for making small hedges. You should only expect Box to put on about 15cm (6 inches) of growth a year. When your Box hedge has reached its desired height it should be kept trimmed to encourage it to thicken out and make a denser hedge. 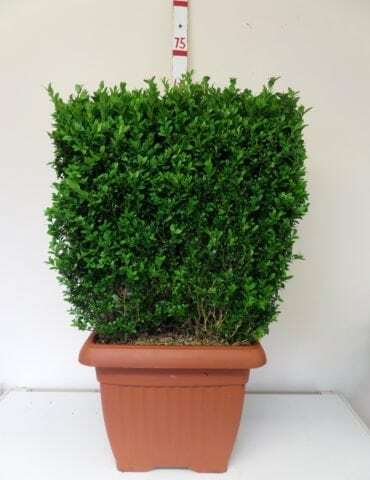 When should I clip or trim a Box hedge? A Box hedge will need to be clipped annually in the spring or autumn as you would with any other hedge. How far apart should I plant a Box hedge? We recommend that Box should be planted at 5 or 6 to the metre in a single row. Careful preparation of the planting site is important. See section below on how to look after your Box hedge after planting. How do I look after my Box hedge after planting? Although Box plants are tolerant and will put up with most soil types, we recommended that the planting soil is mixed with compost to give the plants the best environment to grow in for their first year. After planting, your Box hedge should be watered regularly during its first year to give it the best chance of survival and this is especially important if your hedge is being planted in the drier summer months. How do I water my Box hedge? A;lthough Box do not like especially wet sites, it is important to water a newly planted Box hedge regularly if planting during the drier warmer months of the year. For watering, we recommend using leaky hose (sometimes described as porous pipe) which can be connected to your existing hose pipe and will slowly leak water onto the roots of your hedge in a controlled manner to ensure that it soaks in and your hedge becomes properly watered. Leaky hose is cheap, easy to install and very effective. See our Accessories page for more details on leaky hose. Is Box tolerant of different soil types? Box will tolerate almost all soil types (except very waterlogged soils) making it very versatile. Does Box like full sun or shade? Box will grow well in full sunshine and is also shade tolerant making it very versatile to different situations and can grow well under taller trees. 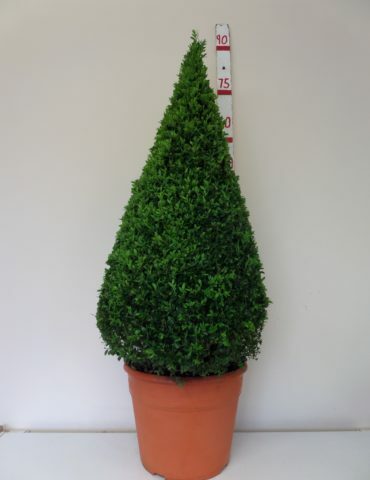 We usually stock a selection of different sizes of Box hedging throughout the year.  In the colder months of the year (beginning in the autumn) we supply a range of different sizes of bare root Box and all year round we supply a range of container grown Box hedging which is ideal for planting at any time.